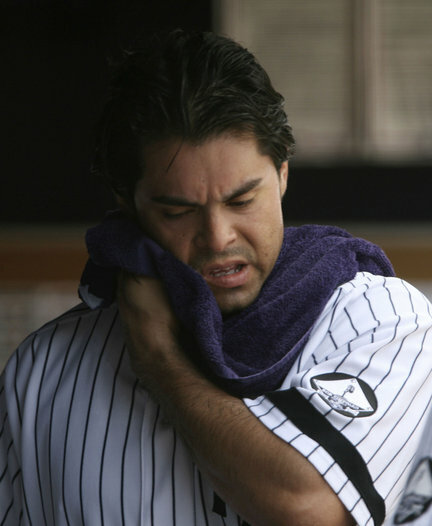 Colon or Garcia: With No Right Answer, How Can Yanks Go Wrong? Sergio Mitre‘s tenure in pinstripes came to an end today when he was traded to the Milwaukee Brewers for reserve outfielder Chris Dickerson. Once Mitre dropped out of the race to win a spot in the starting rotation, his place on the team became somewhat precarious, making today’s trade a confirmation of the inevitable. However, the downstream implications remain to be determined. The Yankees threw in the towel on Mitre by trading him to the Brewers. By trading Mitre, the Yankees effectively cleared space for both Bartolo Colon and Freddy Garcia to go north with club next Thursday. More significantly, because the Yankees have cleared a roster slot, Ivan Nova is now all but assured of starting the season in the rotation. So, the only question remaining is who will fill out the staff: Garcia or Colon? Based on spring training statistics, the fifth spot should go to Colon. In addition to compiling a 2.40 ERA in 15 innings, he has surrendered only 10 hits and recorded 17 strikeouts. Meanwhile, Garcia has pitched to a 5.93 ERA in 13 2/3 frames. If spring training really was meant to be a fair and open competition, the choice would be clear. Basing an important decision on such a small sample would be absurd, however, so hopefully the Yankees aren’t thinking that way. An argument in favor of Garcia is his relative health. 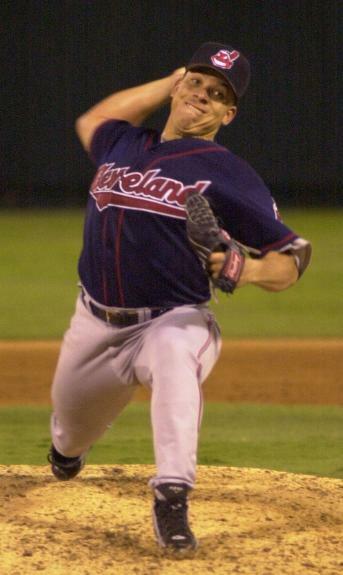 While Colon missed the entire 2010 season, Garcia turned in a workmanlike campaign with the White Sox. Relative is an operative term, however. After all, the two pitchers recorded a combined 462 innings since 2007. In other words, you can throw past performance out the window. Considering all the time missed over the past five season, there really is little about each pitcher’s past upon which to forecast their performance in the future. Can Colon turn back the clock for a month or two? The only numbers that seem to have any significance right now are the ones being registered on the radar gun. All spring, Garcia has been throwing in the mid-80s, while Colon has topped out around 94. Colon has also managed to impress scouts with the depth to his breaking ball and deception of his change. In other words, even if only for a couple of weeks in March, the former Cy Young winner has seemingly turned back the clock to his prime. Granted, it would be naively optimistic to assume that Colon can maintain this resurgence, but why not for a month or two? If so, the Yankees would gladly take it. Instead of trying to find one pitcher to be the fifth starter, the Yankees might be better off going with a backend rotation by committee. Maybe the likes of Colon, Garcia and the newly acquired Kevin Millwood only have 50-60 good innings left in them, but that’s all the Yankees really need. Ultimately, Brian Cashman may have to make a more substantial trade or promote a prospect from the minors. In the meantime, however, the Yankees probably get by without filling the holes in their starting rotation if they can just find a pitcher or two who won’t dig them any deeper.